against HIV. 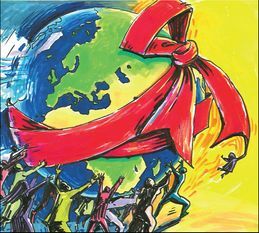 It is held on December 1 each year and is used so that people can show their support for people living with HIV and to commemorate people who have died. World AIDS Day was the first ever global health day and the first one was held in 1988.